There’s nothing else like it anywhere in the world. Varanasi is not a place so much as it is an experience of complete immersion into the heart and soul of India. It is an encounter that defies definition. Varanasi simply must be experienced. Varanasi is called the heart of India because of it’s geographical location on a map. But I think there’s a more anatomical and literal reason for it. Varanasi lies on the holy Ganges river, and the river pumps through Varanasi like blood circulating through the chambers of the heart. People move along the streets to and from the ghats like blood flowing through veins and arteries. The pulse of activity along the ghats of Varanasi seems to throb like the pounding pulse of a heartbeat. It is a place of recurring disposal, purification and renewal. Day after day, night after night, the rituals continue without missing a beat. Just as they have for centuries, and will continue to do so for years to come. The moment activity would come to a halt in Varanasi, it’s as if India herself would die. Nothing can prepare you for a visit to Varanasi. No matter how many photos seen, videos watched, or words read, when you arrive at Varanasi for the first time, it is like being born all over again – learning everything by being flung into complete and utter immersion. All senses are on overdrive. You are no longer reading about it or watching it, you are right there living it, breathing it, feeling it. You are an integral part of life and death itself. Those are my words, written in my journal of my most recent visit. That’s all I had to say. To describe every part of the experience would detract from the whole of it, so I left it at that. The same goes for photos. Sure, I’ve taken massive amounts of photos during my immersions in Varanasi. But they are just scenes, just parts, pieces of a whole, and really don’t do justice to the entire sensual experience that is Varanasi. During my first visit, over 12 years ago, I wrote a lot more in my journal, and I took a lot more photos. When I return to a place, I see it again with fresh eyes, a “new camera” in my mind. Then, when I get home, I like to compare notes and images with previous visits. Has the place changed? Or more to the point, have I? This morning’s event was the highlight of the whole India experience for me – a float trip down the most scared of rivers, the Ganges. The sun shone pink, beautifully lighting the steps of the ghats in the early morning. All the colors were a treat for the eyes. Somehow, the grime and poverty faded away….somehow, being on the river just calms the senses and the soul, and everything appears tranquil and idyllic. The locals who come to bathe and cleanse themselves in the Ganges river…. and then plunging fully into the water, which somehow didn’t seem so polluted or filthy at all in that moment. And there are those who come to the holy river to live out their final days in rented bungalows so they can die on the Ganges – the ill, the weak…the dying….and eventually the dead, whose bodies are burned by the river and then washed out into it. The men’s bodies are ignited and burned at the chest, and the women’s at the pelvis. Whatever remains after the flames burn out is simply left to sink or drift off down the river, following a trail of candles and marigolds…. The building closest to the crematorium ghats have gone all black with smoke, but the rest of the river’s edge along the ghats is colorful and alive, very much alive, yet all at once, serene. It was a transcendent experience, to have those quiet moments of floating along the peaceful river without any touts or beggars or crowds. While there was plenty to see that shocked the senses, perhaps most surprising was the sighting of river dolphins. Yes, river dolphins. Right there in the Ganges, right smack in the midst of activity – bathing and cleansing, cremation and pollution – the dolphins broke the water’s surface surrounding our boat. I couldn’t believe I was really seeing dolphins, wild animals, amidst this hub of human activity that has been happening in the same place for centuries. Yet there they were, river dolphins. They could swim anywhere(! ), but they chose to be right there at Varanasi, and at that moment, right where we were. Unbelievable. To see these “enlightened” and highly-evolved creatures choosing to be here led me to conclude that the Ganges is indeed a holy river and a truly mystical experience. In those brief moments, watching corpses burn and dolphins play…it all made sense. Everything made perfect sense. Something changed inside me that day. And 12 years later, something changed inside me again. This last time, I watched and listened as my companions tried to describe the first-time experience they had just had. A conversation took place over dinner by a fire, under the stars, during which each person reflected upon and processed their experience of Varanasi, trying to make sense of it all and fit it into context with their own respective faiths. One thing was apparent. No matter what they felt or not, what they understood or not, they are forever changed. I suppose being pumped full-throttle through the chambers of a heart will have that effect on anyone. Varanasi is more than a spiritual place, it’s a pure experience of the heart. India is such a magical place, I can't believe I still haven't been. Thanks for sharing Varanasi, I'll have to add it to my list. 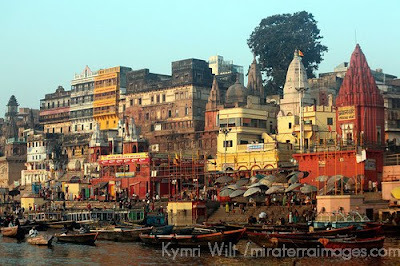 Excellent article and photos on Varanasi. Definitely something to experience in ones lifetime. Well done! Vietnam Travel :The other name of india is HINDUSTAN is the collection of joy, culture and science. In India whatever we use fully have a own sence. Very nice blogging. Thanks for sharing..
Amazing Article, No doubt India have A lot of beautiful places to explore, and The Taj Mahal is one of those places. Well for the Travel Lovers, The planet earth holds a lot of secrets awaits to be discovered like an Arabian desert. It's an amazing place, It has a lot of beautiful views like the sunset and the sunrise, The amazing Desert Safari with Dune bashing and the Quad Bike in Dubai and not to forget the night in which the sky is full of glittering stars. It sure is a place to make amazing memories. wow the article you have posted is very nice and the pictures are perfectly captured India also have many beautiful places like dubai i visited both countries when i went dubai yourtripdubai is the first company who offer Dubai City Tour is there any company in india who offer india city tour?